Posted by t-maker in Photos. Cadaqués | Flickr - Photo Sharing! Cadaqués | Flickr – Photo Sharing! Posted by t-maker in History, Miscellaneous, Outstanding Photos, Photos. In 1941 the photographer Philippe Halsman met the surrealist artist Salvador Dali and they began to collaborate in the late 1940s. 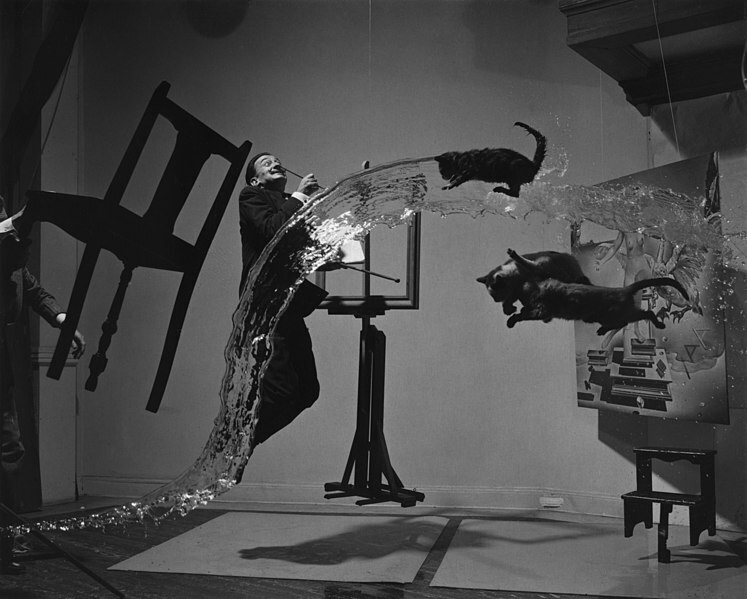 The 1948 work Dali Atomicus explores the idea of suspension, depicting three cats flying, a bucket of thrown water, and Salvador Dali in mid air. The title of the photograph is a reference to Dali’s work Leda Atomica which can be seen in the right of the photograph behind the two cats.